National Nurses' Day is an official commemorative day in Thailand observed on October 21. It marks the birth anniversary of Princess Srinagarindra, “the Royal Grandmother”. This member of the Thai Royal Family made a significant contribution to the development of the country's health system. 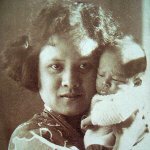 Princess Srinagarindra was born Sangwan Chukramol on October 21, 1900. At the age of thirteen, she became a student of Siriraj School for Midwifery and Nursing. In 1917, she was granted a scholarship provided by Prince Mahidol and went to the United States to continue her studies. There she met Mahidol and married him in 1919. She helped her husband reform health care in Thailand. In 1929, Prince Mahidol died of chronic health problems. Upon Mahidol's death, his widow continued to provide scholarships to medial students and supplemented the salary of young medical specialists. She also continued to play a significant role in the field of nursing. Srinagarindra build nursing schools, established the Thailand Nursing Association and organized the first nursing convention in the country. To recognize Srinagarindra's contributions, her birthday was officially designated as National Nurses' Day.